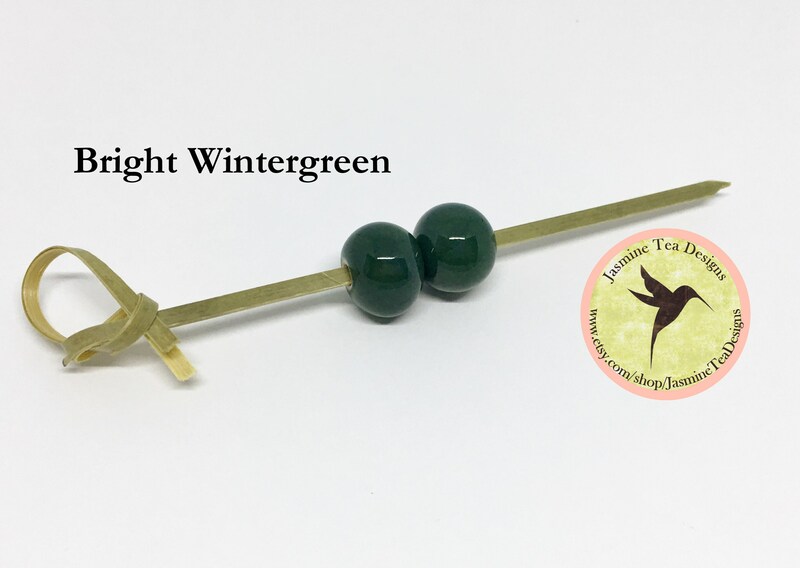 Bright Wintergreen glazed ceramic beads hand crafted by Golem Design Studio. These are great little round beads for you kumihimo braids or spacer beads for stringing. beautiful beads with large holes. I really love them.